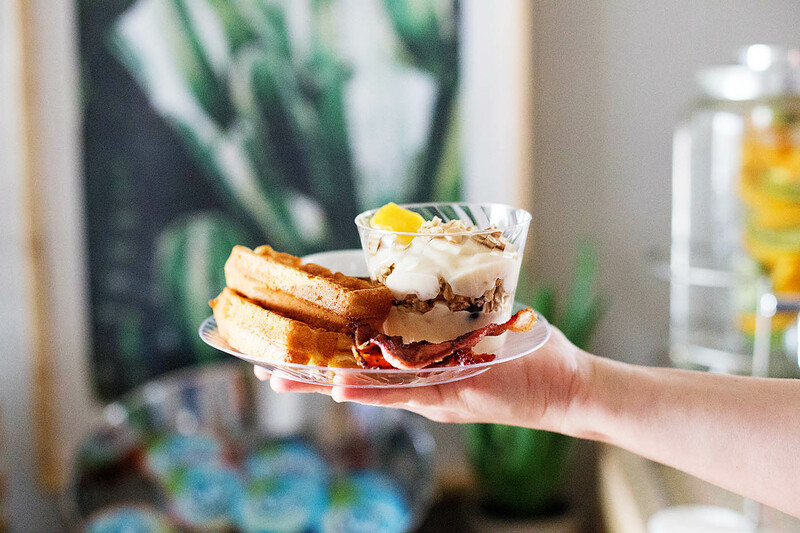 A party and waffles – two of my very favorite things! 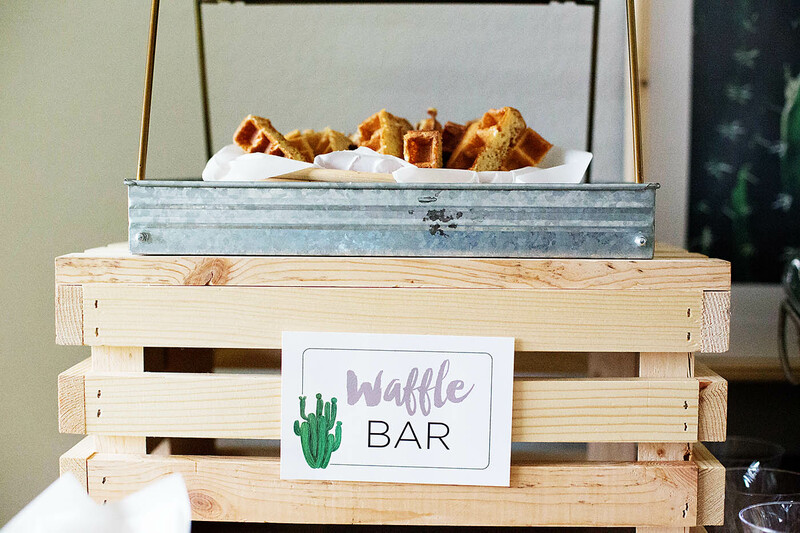 It is totally possible to host an awesome waffle bar for your friends that can accommodate all their food sensitivities. I have friends with both gluten and dairy issues so I always make sure I have food that everyone can enjoy. 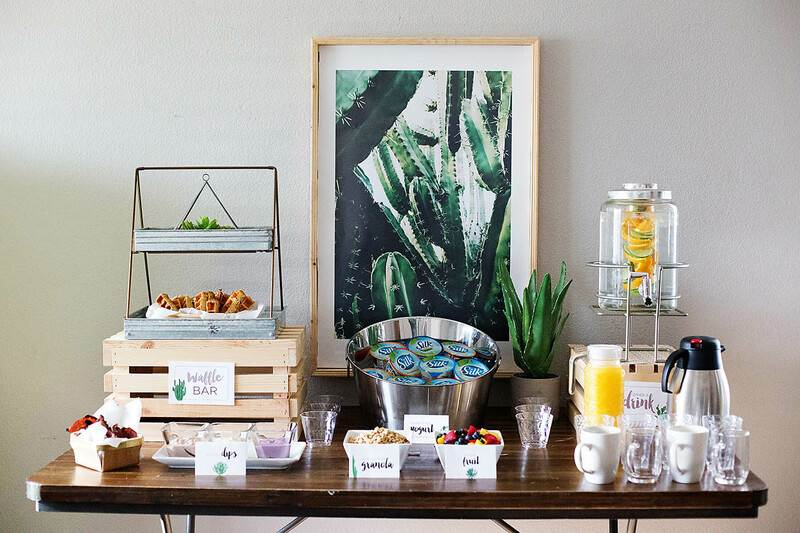 I’ve been wanting to host a girls’ spring brunch to get together and craft like I did a couple years ago. I can’t tell you how much fun it is to get together with friends for no other reason than to make something (or at least SAY you’re going to make something when all you end up doing is talking and laughing). 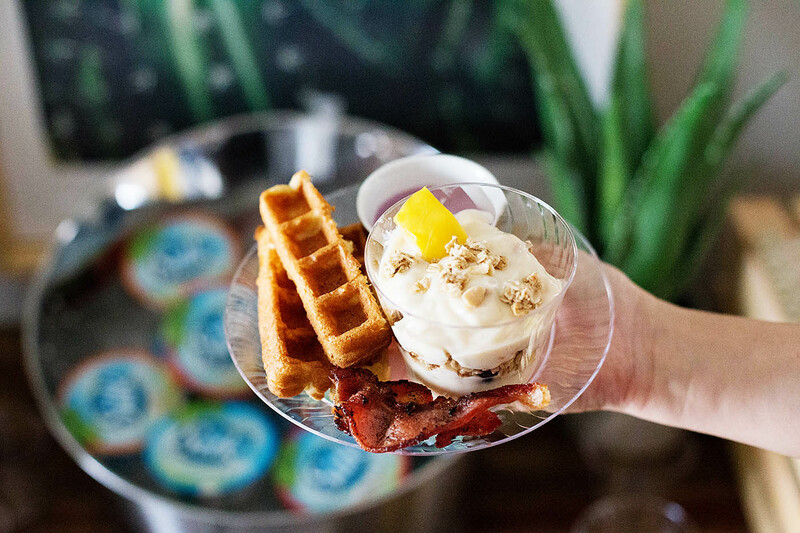 I have some tips, printables and a dairy free, gluten free waffle recipe using Silk Dairy-Free Yogurt Alternative that tastes amazing for all of your guests, even those that don’t have food allergies or sensitivities! I always set up my food table a day before. This saves a lot of time the day of the party and really cuts down on the stress! 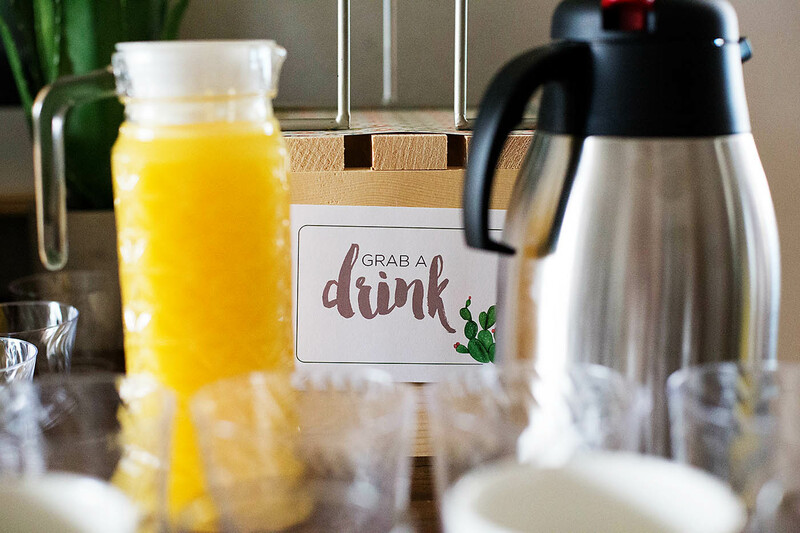 A fun food table is the centerpiece of any gathering so whether you’re serving everything at a table, or it’s grab and go, setting up ahead of time will only help! I like to add my serving platters or jars and then layer them in height. 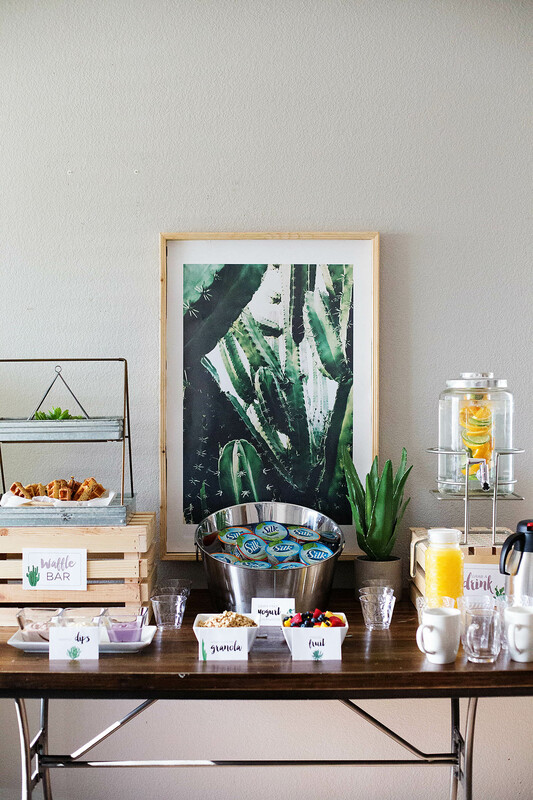 For this party I used wooden crates for a natural feel. I LOVE this new serving tray I picked up at Walmart. That galvanized steel will go with everything! 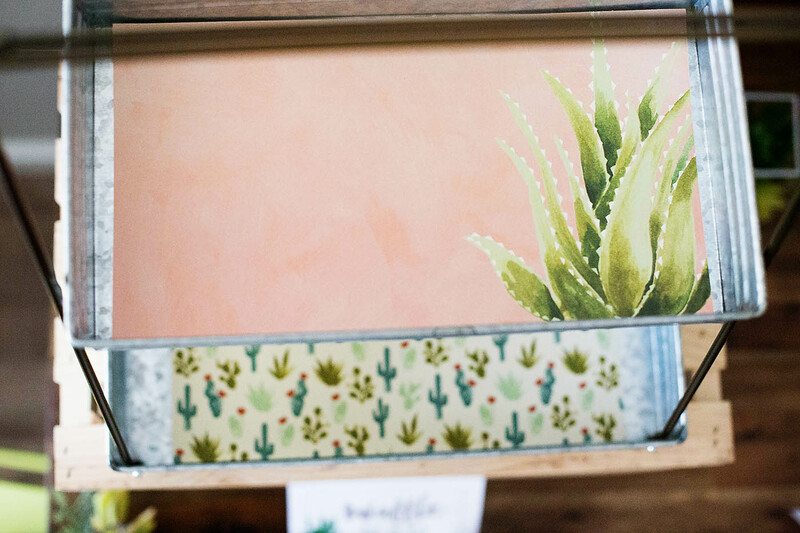 I placed some desert themed scrapbook paper inside to add just a bit of color. 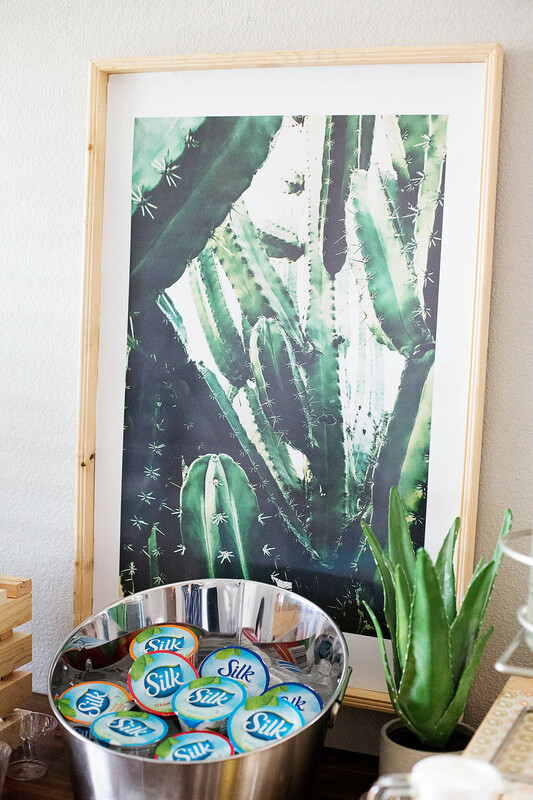 I have been wanting a cactus art piece so this party was the perfect excuse to finally make one up. 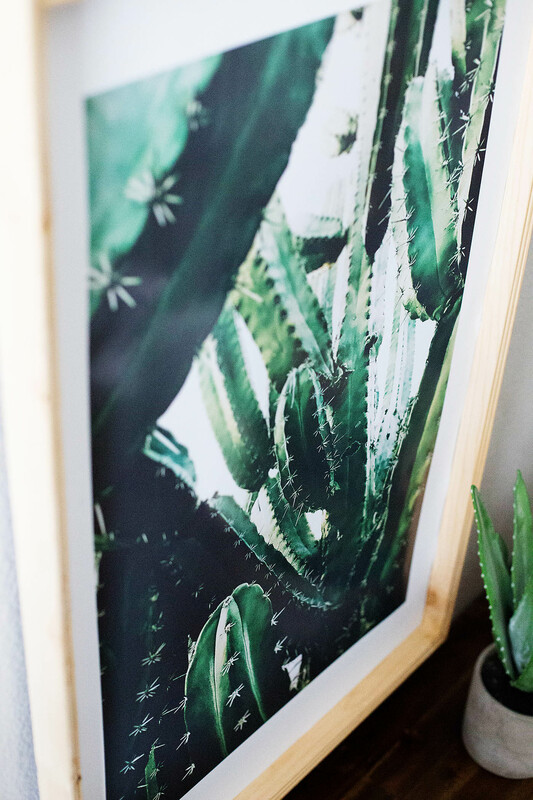 I just used an image I took on my phone, had it printed large and then adhered it to a store bought art frame I found on clearance. I REALLY love how this turned out! I like to keep plates, cups and cutlery on a separate table but those can be set out as well! 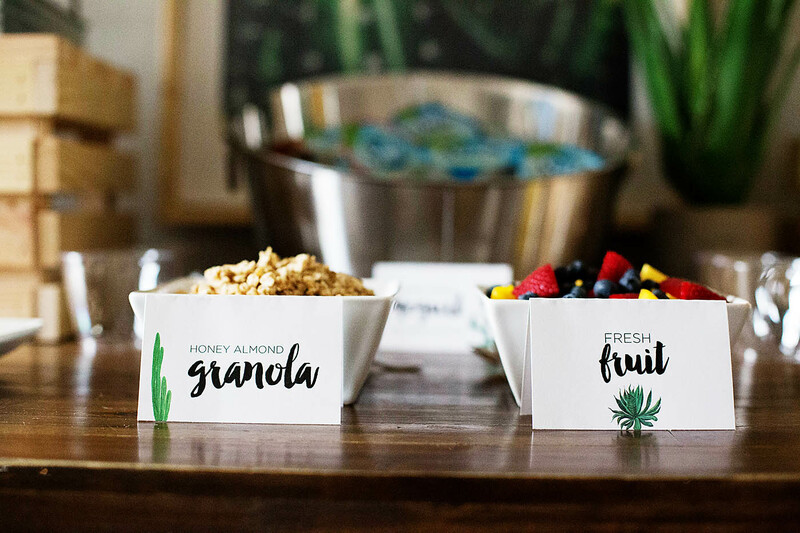 Print out your table cards/signs the day before too! You can always change them out if something changes but for the most part you probably already know what you’ll need signs for. 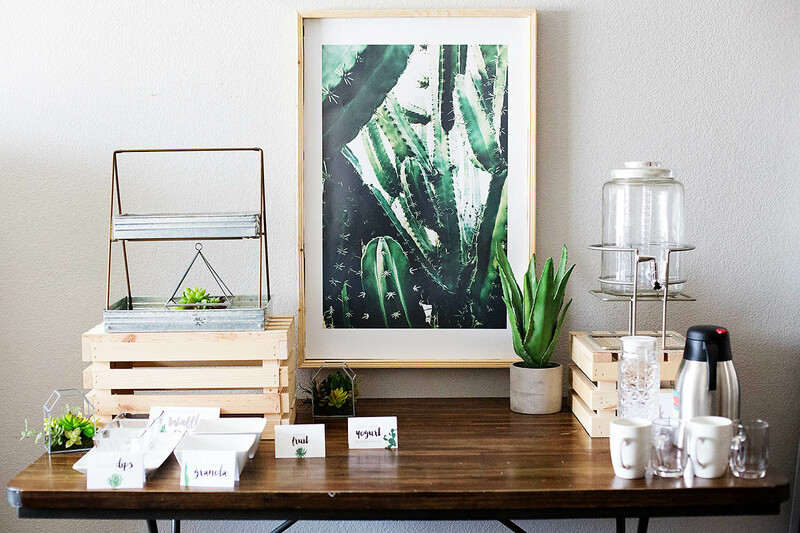 Here are some FREE PRINTABLE CACTUS TABLE CARDS for you to use at your next cactus themed party. The day of your party you can cut fruit and start adding dry ingredients to your table (granola etc). 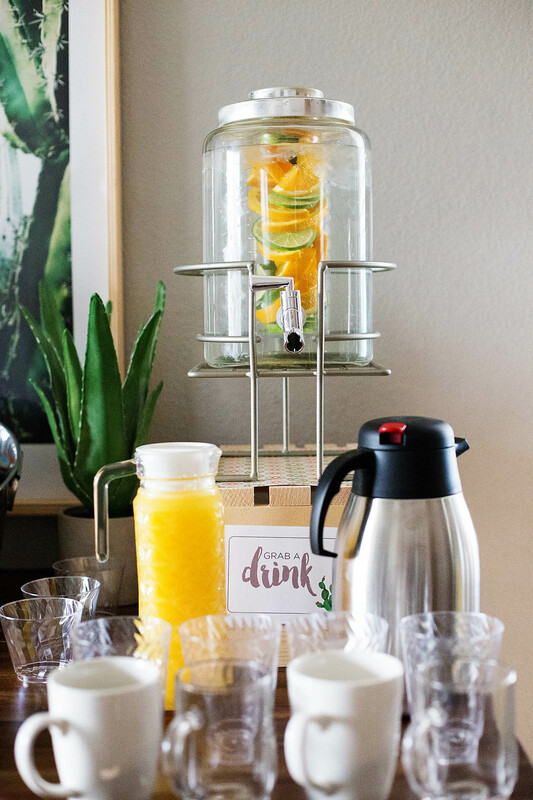 I love serving infused water so I’ll prep the fruit/herbs ahead of time and then just fill it with ice water before the party. 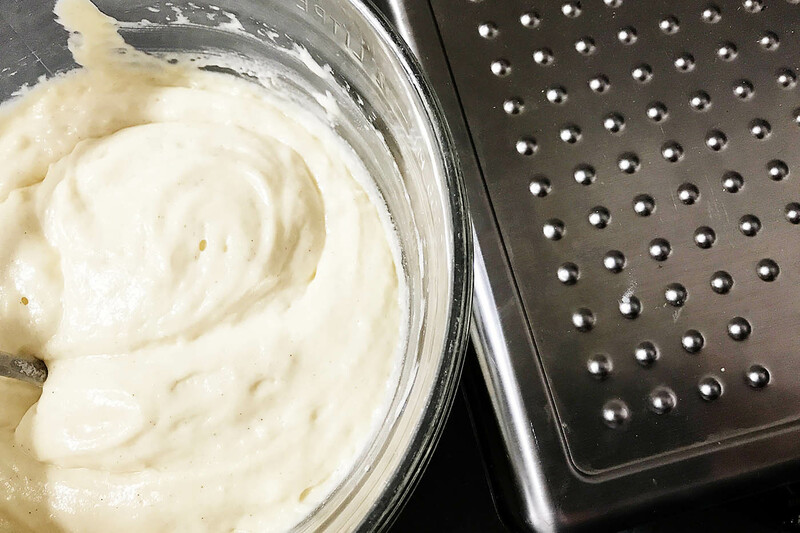 You can prep this batter a bit before your guests arrive but the waffles aren’t going to stay hot long in a waffle bar. This recipe is perfect fresh or as part of a bar served into sticks. Either way we like to make sure they are nice and brown because the crispier the better in this house. 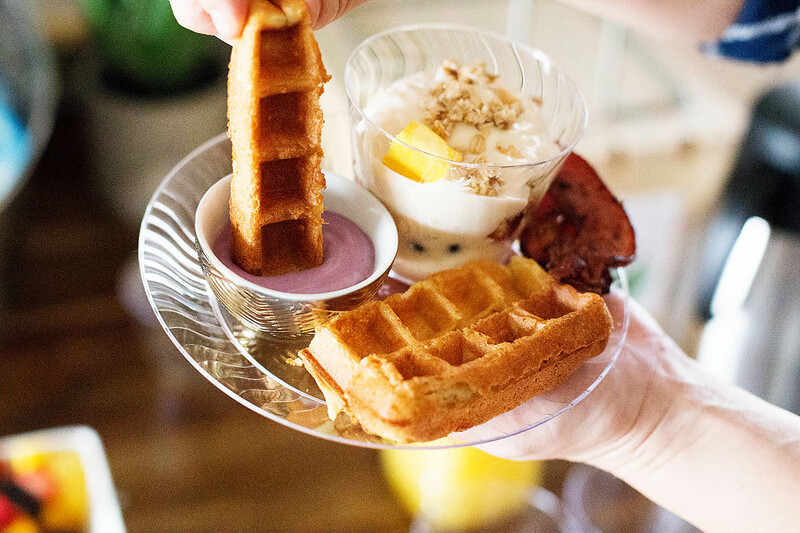 I try to make a mix of softer and crispier waffles for the bar since everyone likes something a bit different! 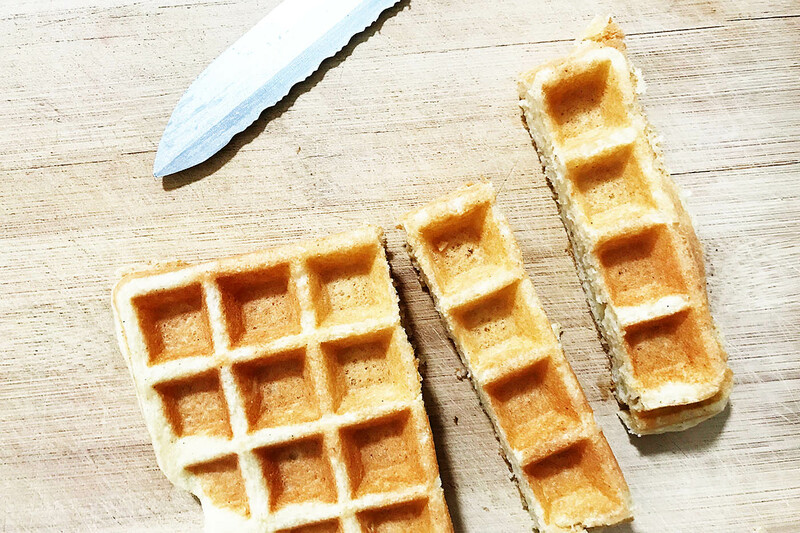 These gluten and dairy free waffles are super tasty, and as flavorful as your yogurt! 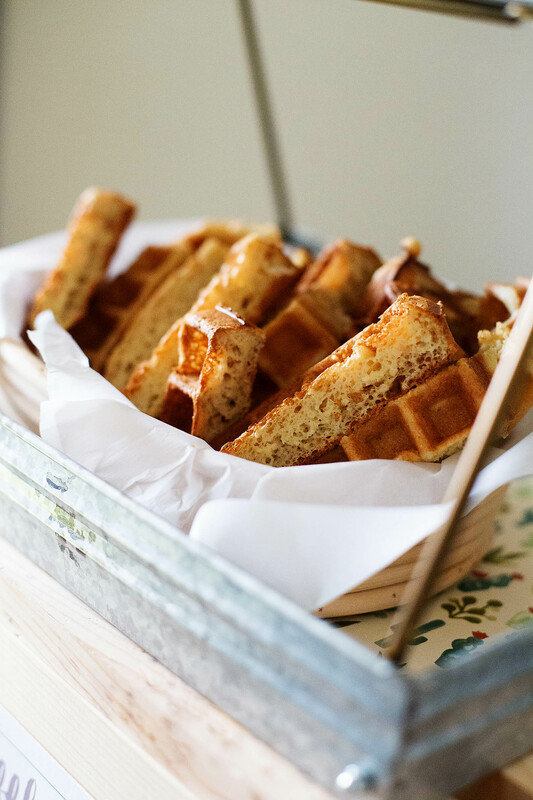 Perfect for traditional waffles or served as waffle sticks. Pour onto hot waffle iron. Will be ready about the time it stops steaming but feel free to leave on until a nice golden - dark golden brown. Place on wire rack until ready to serve. 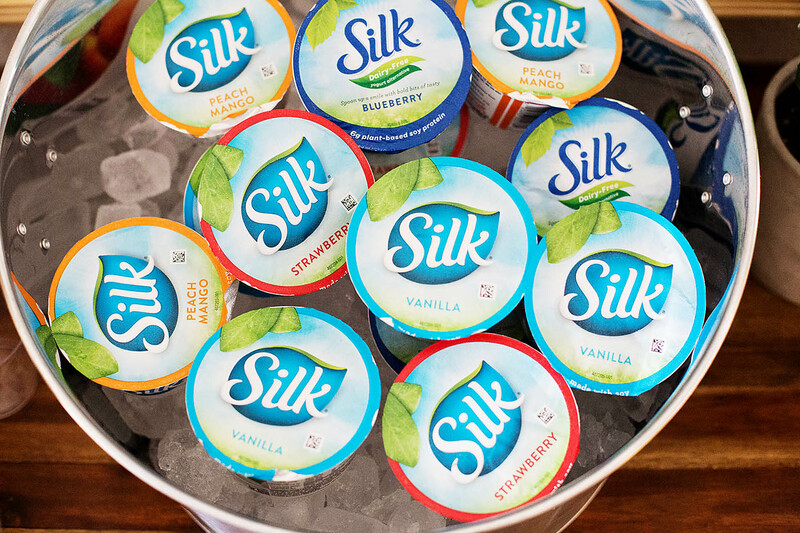 You can pick up containers of Silk Dairy-Free Yogurt Alternative at Walmart where all the other yogurt is! I grabbed all 4 flavors – Strawberry, Peach Mango, Blueberry, Vanilla for the waffle bar and a few extra Vanilla for the waffles. 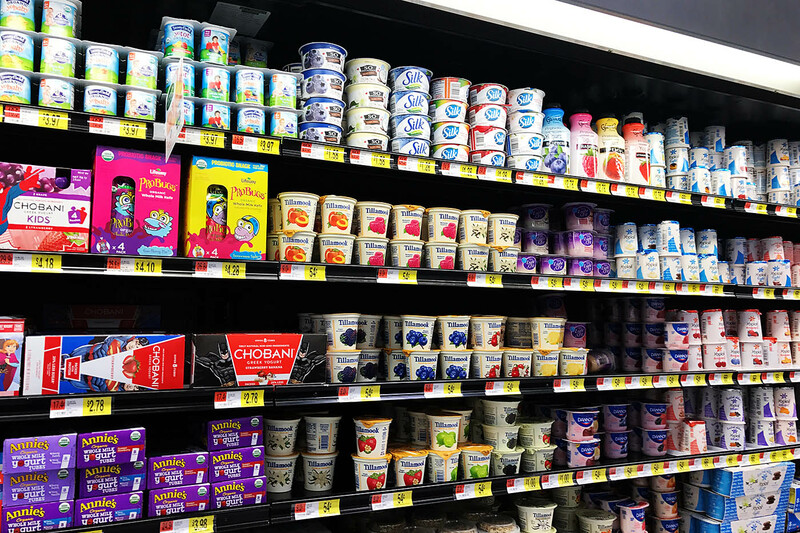 This yogurt alternative is awesome because it has 6 grams of plant-powered protein, still also has live and active cultures is free of cholesterol, dairy, lactose, gluten, carrageenan and casein, has no artificial colors, flavors or high fructose corn syrup! 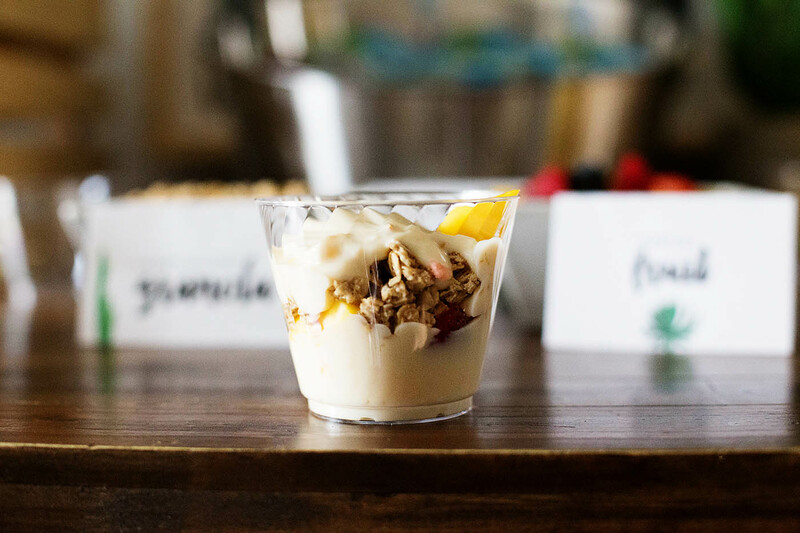 It works perfectly in this recipe and as part of parfaits during the party. 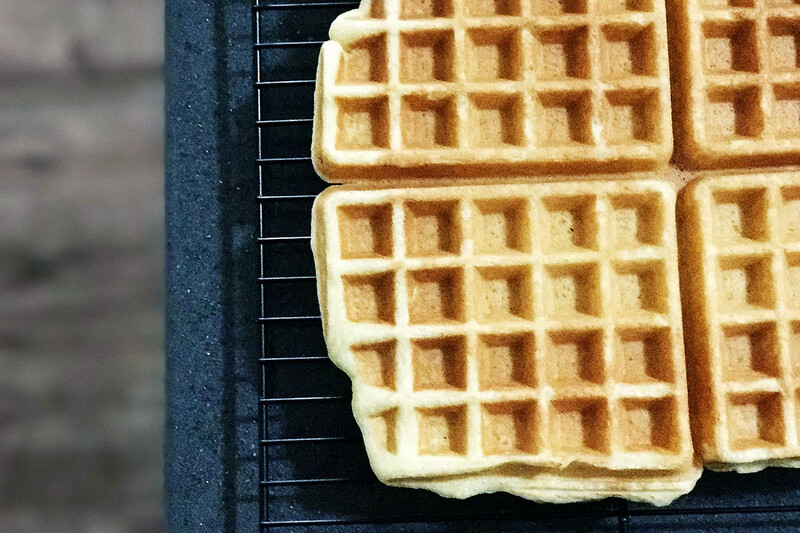 Place waffles on a wire rack while you’re preparing the others to help them stay crispy on the outside. You can even put them directly on the oven rack to keep warm. When you’re ready, place everything on the table. I like to keep extra waffles in the oven, but you could put them all out. 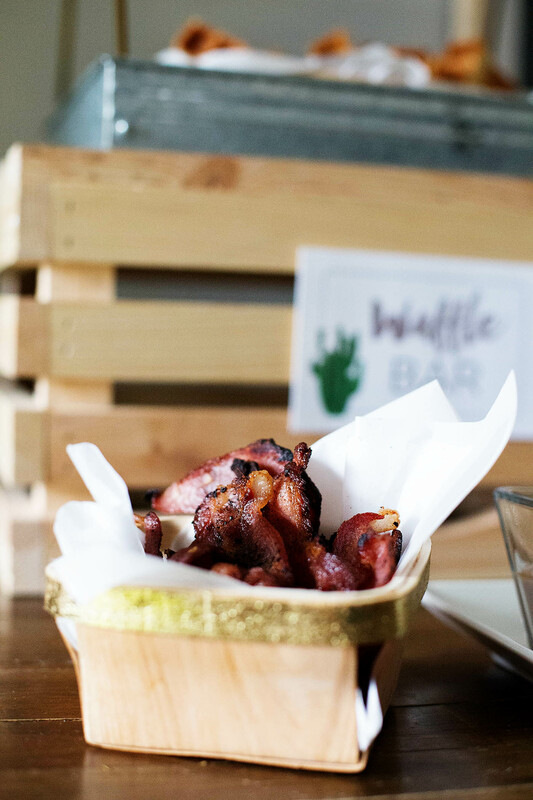 Bacon makes a great addition to a waffle bar also. 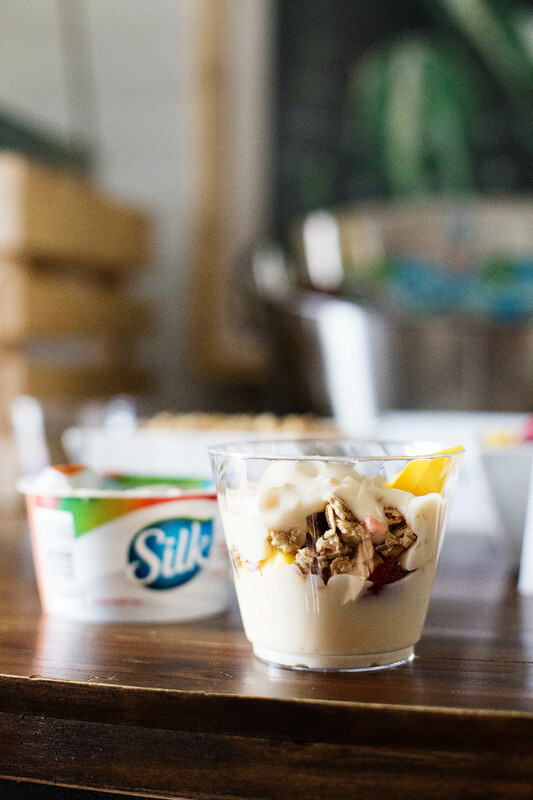 I had Silk Diary Free Yogurt Alternative placed on ice in a big bucket and served along with granola and fresh fruit to create parfaits! 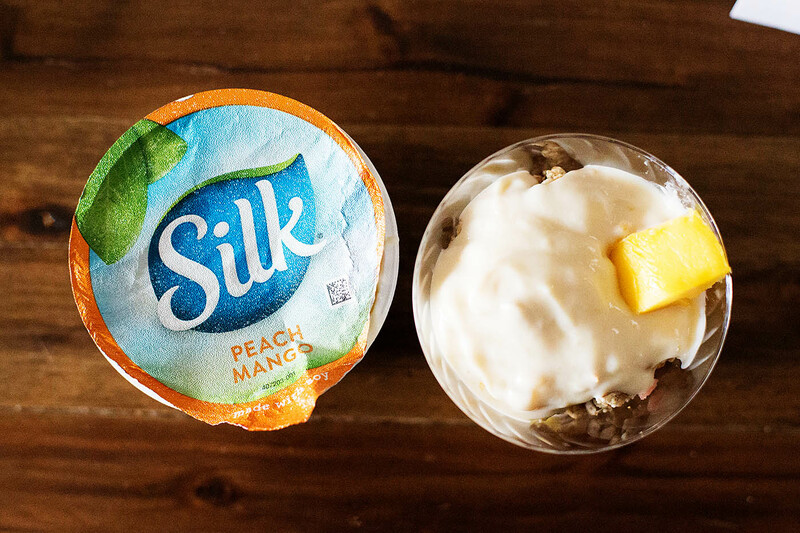 My personal favorite is the Peach Mango. 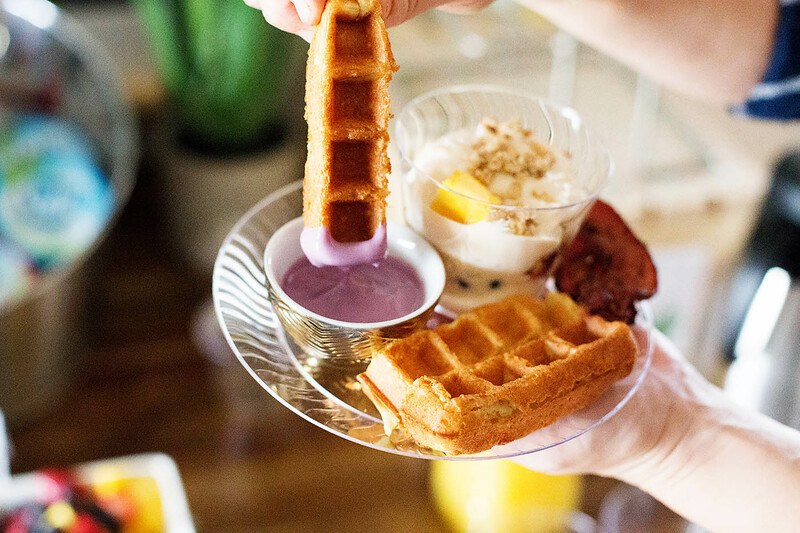 Waffle dips are simply dairy free yogurt alternatives with a bit of real maple syrup mixed in. 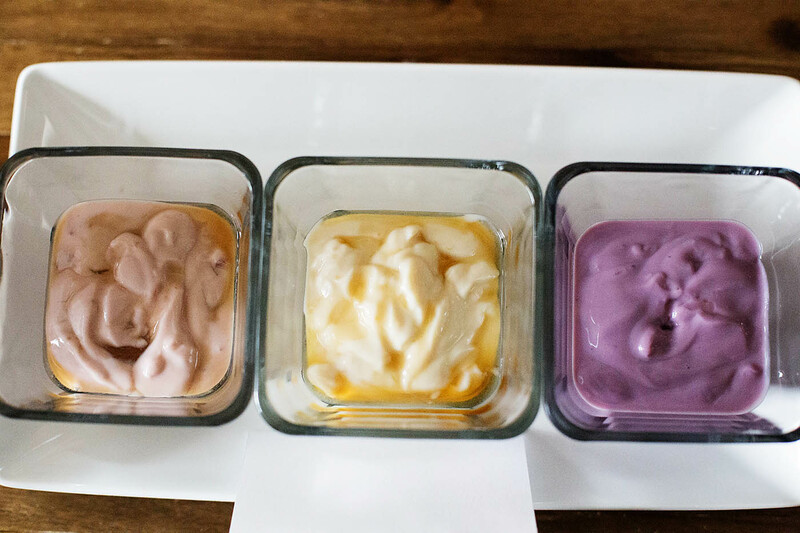 Make sure to have little individual cups out for the dips! I love this waffle bar because the food is so simple, but SO good. It’s easy to eat, filling and flavorful. It works great for showers, parties or just a girls crafty spring get together! 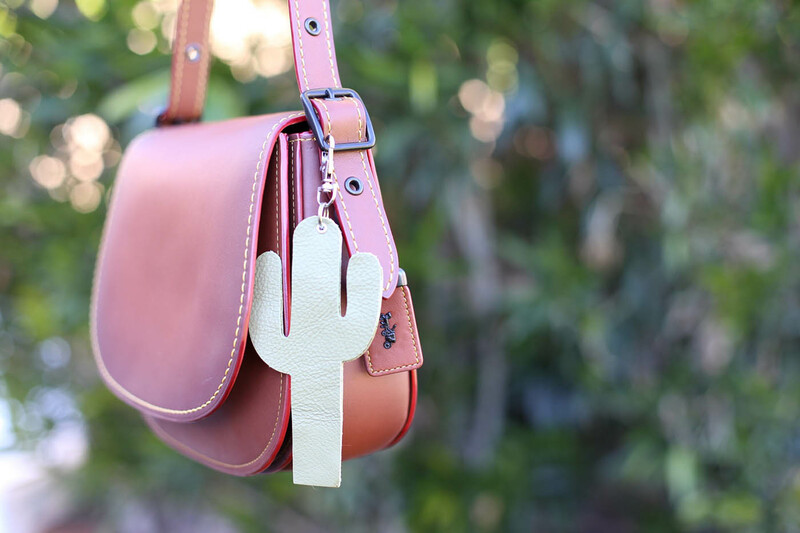 We had big plans to make some leather bag tags (just cut out leather shapes, add a hole and an attachment) and/or get some scrapbooking done. A lot of laughs and a little crafting later it was time to clean up. 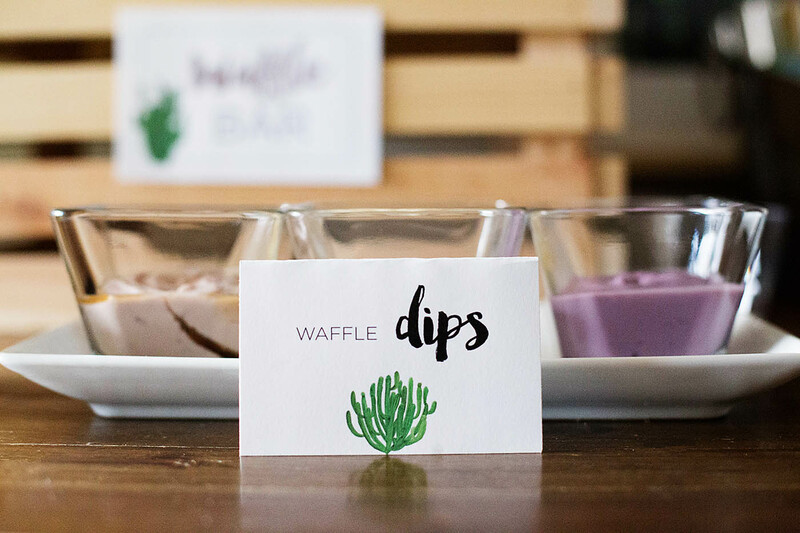 Have you ever hosted a waffle bar? 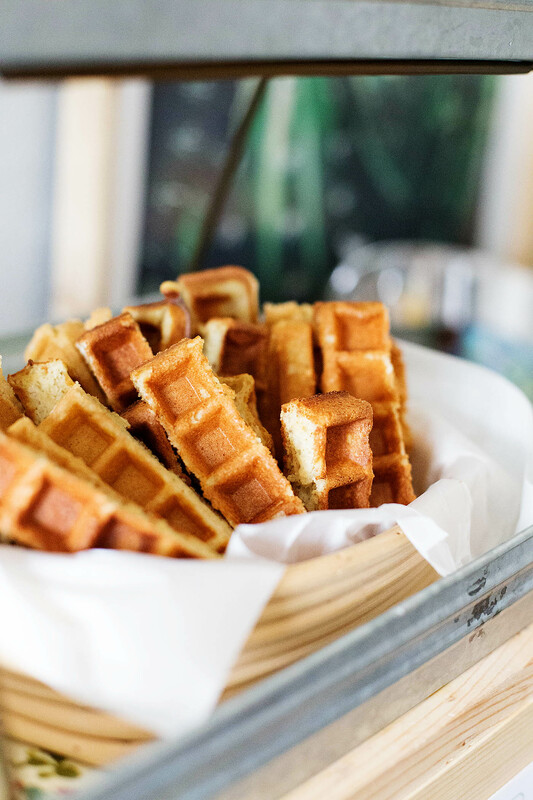 If you are hosting friends or family with food issues remember to thoroughly clean your waffle iron, mixing bowls and utensils to keep everyone safe! 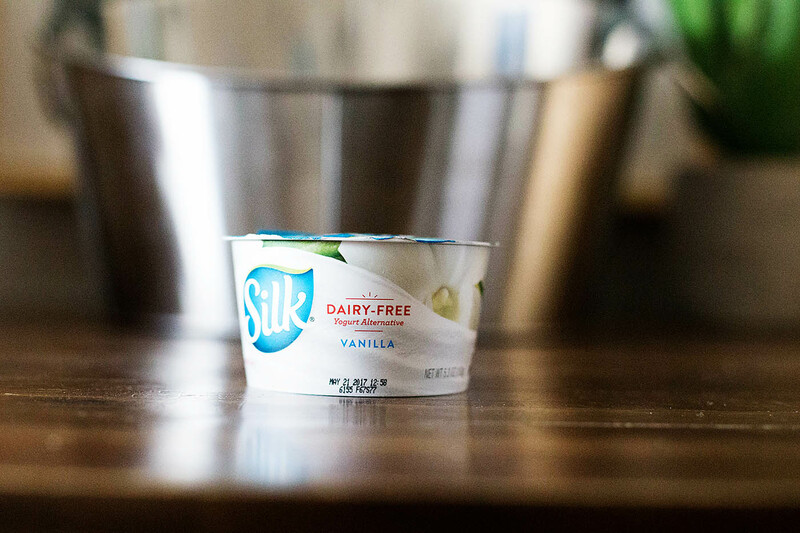 For more dairy free inspiration check out this awesome site.